We know of many variables that help children learn to read. But well-designed peer-reviewed research continues to be ignored when it comes to these variables. At the same time, states and school districts continue to promote destructive school policies. We know such policies fail. So, why are they still being used? Here’s why some children might not read and learn well. Large Class Sizes: We’ve known for years that lowering class sizes in K-3rd helps children learn. Project STAR, a study done in Tennessee, found that students in smaller K-4th grade classes had better long-term learning outcomes in grades four, six, and eight. For more information about the importance of lowering class size check out Class Size Matters. Smaller class sizes, especially for young children are what’s needed. Teachers learn more about students and tailor reading instruction to their needs. Teachers get to know students and parents and can better address any reading difficulties that arise. Inappropriate Reading Expectations: Since NCLB, kindergarten has become the new first grade. Parents and educators have been led to believe children must read earlier than ever before! Developmental researchers like Jean Piaget, Maria Montessori, Erik Erickson, Lev Vygotsky, and others emphasize the importance of play. But worksheets and testing have replaced play at this critical stage. Children start school under severe pressure to read. Pushing young children to read before they’re developmentally ready must end. It can damage a child’s love for reading. Check out Defending the Early Years and the Alliance for Childhood. Retention: The research surrounding retention is clear. It doesn’t work! It could lead to students dropping out later. It’s damaging to a child. So why do states like Florida and Michigan keep promoting it, or debating it like it does work? Instead of putting money into holding children back, fund smaller class sizes, multi-age grouping, and looping for children who would benefit. Loss of Libraries and Librarians: Some schools no longer have school libraries, or they have old books, no librarians, and share space with the maker movement. Yet schools with great libraries have students who do well. We know this. Why would any child believe reading is important if adults give them little access to books? Books still rule! Every student should have access to qualified librarians and libraries updated with the latest picture books and teen titles that students enjoy. Common Core State Standards: How has CCSS done making better readers? No one mentions Common Core in the phonics debates that I read, but it has been a big influencer in English Language Arts programs since 2013. How has the restrictive close reading worked? What about the push for nonfiction? Standards are restrictive. Children are creative learners and teachers deserve to be able to teach the way they professionally see fit. I’d like to see more written about the connection between reading difficulties and Common Core. Lead in the Water: Lead exposure has been removed from many of the sources where we used to find it, like gasoline. Lead poisoning in a child can cause learning disabilities. The children in Flint, Michigan should be followed carefully in their schooling and given support and assistance if learning disabilities are found. Water fountains in all schools should be tested regularly, and old schools and homes should be inspected for loose leaded paint and dust that could get in the air. Children’s Health: The lack of health care for the poor in this country affects how children learn in school. Recent teacher marches included crying out for school nurses. What health screenings do children get? Do they have access to dental, sight, hearing, and general wellness check-ups? No child is going to care about reading if they have a toothache. You can’t expect young children to care about learning if they’re sick. The same goes for nutrition. A child can’t learn well if they’re hungry. School Counselors: Sometimes children come to school with mental health problems. They need access to a school counselor who will be able to analyze their difficulty, give them the support they need, work with the teachers and parents, and recommend outside help when required. The mental health challenges a child brings to school might be transitory or long-lasting, but they cannot be ignored. Children experiencing any kind of mental health problem will have difficulty learning to read. Schools need to hire enough counselors to provide student support. Teacher Preparation: How are universities teaching teachers how to teach reading? My colleges did a good job years ago, but colleges today have some of the same corporate pressures as K-12 schools. For example, why do university officials sign on to Deans for Impact funded by the Gates Foundation and other corporate groups? Why is Relay Graduate School of Education gaining traction? Who is monitoring teacher education offered in online for-profit colleges? Teachers should hang their diplomas on the wall for parents to see. Or the PTA should provide a list of teachers and their bios before school starts. Parents need to know who’s teaching their children. Public schools used to care much more about credentials. 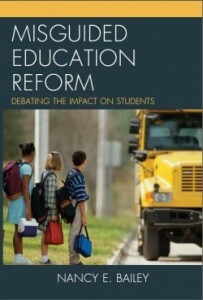 Special Education: The corporate reformers’ goal appears to be to get rid of special education. Universities used to prepare teachers to specifically work with children who have emotional problems, learning disabilities, visual difficulties, and other categories. Many of these programs have been discontinued or blended into a few classes. General education teachers are given one or two special education courses. It might be time to change the title “special education” but there will always be children who will benefit from teachers who have a special understanding of categorical problems they exhibit. Overreliance on Technology: Corporate reformers would like us to think that placing a child in front of a computer will correct their problems and provide all they need to learn. But there is no research to show this to be true. Integrating reading instruction with technology might be helpful to teachers and students, but reading and language arts are more all-encompassing when it comes to learning. 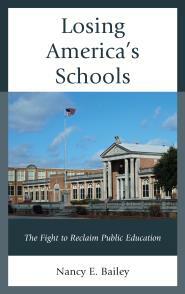 Public schools serve ninety percent of America’s children. We need to make sure that every school provides a rich literature environment where children see reading as desirable. Students should get the help they need when they have reading difficulties. Reading should be enjoyable and within their reach. Thanks for a great article about a huge topic! I’m waiting for followup. And too, many of the other reasons listed for the elimination of reading apply to these students in spades. Excellent! Thank you for addressing this, Paula! You make great points. Linda Chantal Sullivan wrote this post on this topic several years ago. You might appreciate this and have more to add. We were thrilled that WaPo’s Valerie Strauss reposted it on The Answer Sheet. Apart from the issue of teacher ed, which another commenter mentioned, I don’t think Common Core per se has a huge role to play. I taught with it for several years before retirement. I spent a long time arguing with people about the math involved in Common Core. My students loved Common core math and became better thinkers and motivated learners because of it (I taught 2nd grade during this time). I think something similar appears to be happening with reading. Common Core can be taken to extremes, and in many districts, there is no training for the new strategies it promotes. Standardized testing adds a pile of pressure. My children loved the reading we did, They chose the books they wanted to read, after learning how to pick a ‘good fit book’. They became enthusiastic readers. I am sure there are better Common Core materials available now and teachers that are more accustomed to it. The other point is lightly touched on with the mention of food-insecurity, but it’s much deeper than that. Poverty has corrosive effects on children’s brains, not just because they are hungry but because they often have no stability at home at all. Parents who are stressed by unpaid bills, two or three jobs, have no time or energy to talk with children, help with homework, no matter how much they wish they could. To learn about the effects of poverty I would recommend “Teaching with Poverty in Mind” by Eric Jansen. It is an eye=opener. Poverty is rising in our country and affects all our schools. I agree totally. Libraries, with librarians encouraged students to read, help student find and encouraged them to read their reading level. That was the worst mistake closing the elementary school libraries. Nancy, did you read that op-ed in EdWeek about the reading crisis? That got me so riled I responded when it was re-posted by Mindshift. You’ve done a good work in articulating the issues here. Better than I could do. Also–I bristle a little when teacher education is (even partially) blamed for teachers not knowing how to teach reading because I am a professor in teacher education and I teach a lot of courses about literacy. I work very hard, and I believe I am doing good work, so I do my best to speak in a measured tone. I know we are a mixed bag, but blaming teacher ed for teachers not knowing about teaching literacy is a pretty broad sweep. In your blog here, you mention particularly problematic institutions, but others don’t. For them, it’s all of us. Bad teachers, bad teacher ed, reading crisis. One thing that many critics seem to forget is that teacher ed is a beginner’s program. We get new teachers ready to begin, we teach them how to continue learning, and we hope that once they have their own classrooms, they do take the initiative to learn more about teaching reading, math, history, arts, PE, science, and all of it. We hope that when they encounter puzzling students that they’ll do the work to figure them out. We hope that they have the support to do so. But we cannot possibly teach them everything they need to know even for their first years, let alone for their entire careers. Now I must get off the internet and read my students’ lesson plans. A group of them have just turned in their first skills-based lesson in our literacy course, and I have promised them a lot of feedback. Carrie, You sound busy, so thank you for taking the time to tell us about your experience and your concerns. Great article. Reading is imperative and schools and families must work together to do whatever it takes for the kids to learn to read! Communities need to provide more volunteers to read to and listen to the kids read at the local schools. Secondary kids, especially high schoolers, can also read to and listen to the kids read. The intensive time and effort required is worth it. I think I’m arguing about something a bit different here. How many of our young boys are having eyestrain problems? My grandson is a second grader, an accurate baseball player, and reads at an independent 38 DRA. His eyes become bloodshot by the end of the day, and he recently got his first pair of glasses for nearsightedness. I suspect his nearsightedness has been caused by forcing him to focus on work at 18 ” away from his face. The emotional health of the student that you mention under “School Counselors” is very important. A related problem crops up later, as students who do not have the emotional maturity necessary to read for the fine details in subjects like math, or the ability to file away factual information needed to associate with newly acquired material. As always, astute commentary, Nancy! Great article! I would just add that children learn different things at different times. I have encountered several children, my own son included, and heard of others who just aren’t ready to read until around age 10. They are usually very bright boys with large vocabularies and love to be read to but just aren’t ready to do it themselves. If we just support their learning in other subjects, keep reading to them and include them in the community of readers without making them feel there is something wrong with them, something seems to click at about age 10 and they get it very quickly, especially if we provide reading material at their reading level on subjects they’re interested in. Thank you, Tanya. That’s an interesting point. Finland didn’t start formal reading until third grade. I’m not sure if they still do that.